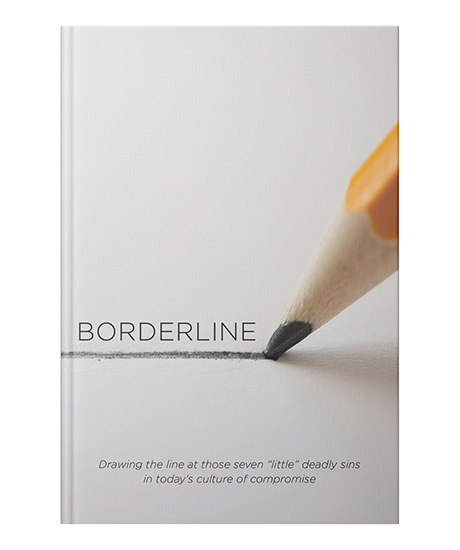 Borderline gives you an inside look into seven "little" deadly sins that have become increasingly acceptable in a changing world—and equally in the church today! Whether it's referring to pride, envy, sloth, gluttony, coveting, anger, or lust, Borderline is a warmly conversational, yet thought-provoking read, that reminds us as believers how today's culture can influence us too. For whether we see some sins as small and others more signifiacnt, it's all about a question of compromise that so easily becomes borderline stuff between God's values and society's today. This new book will both insprire and perhaps even reset your views. And it'll remind you all over again of the power of God's unconditional love and grace to help guide you through—without question. Successfully added Borderline to your cart.